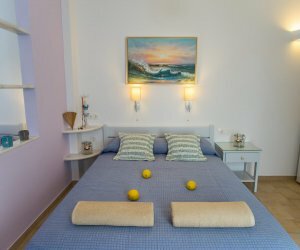 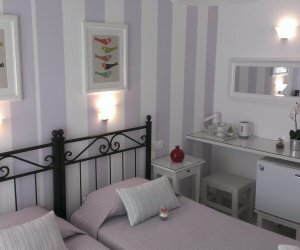 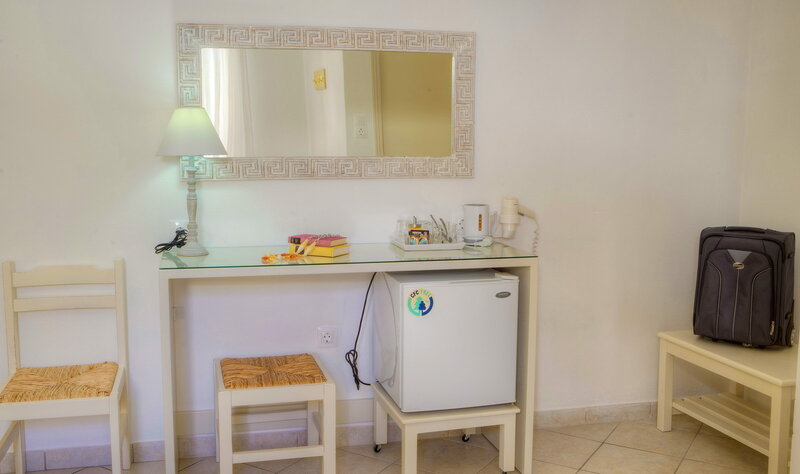 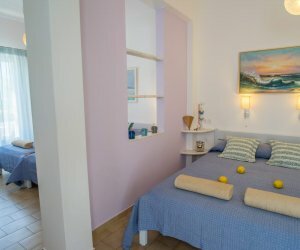 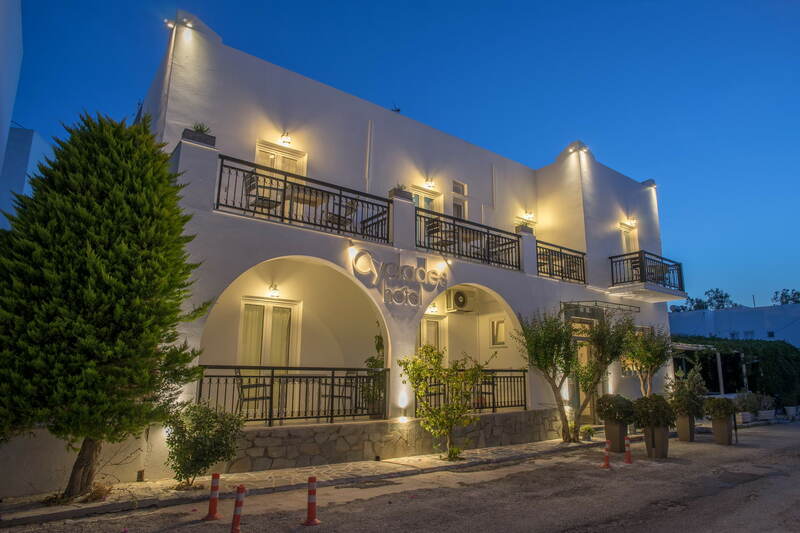 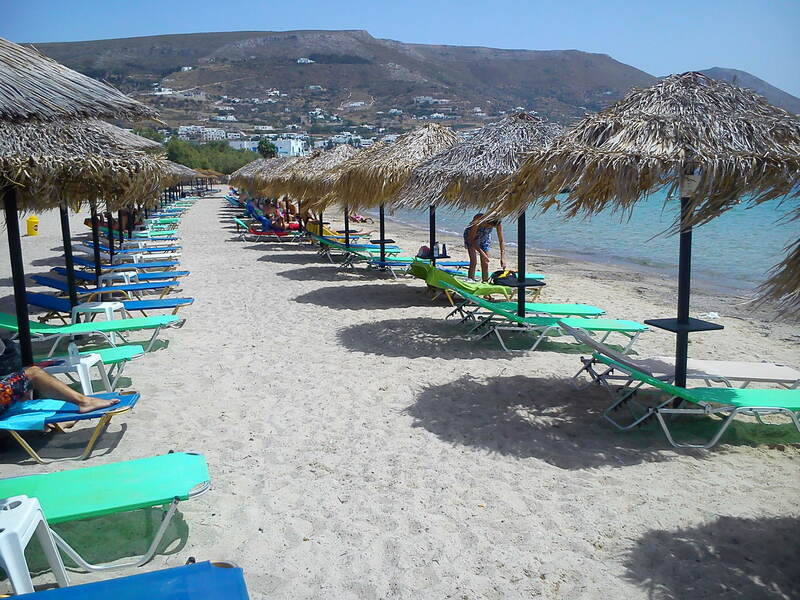 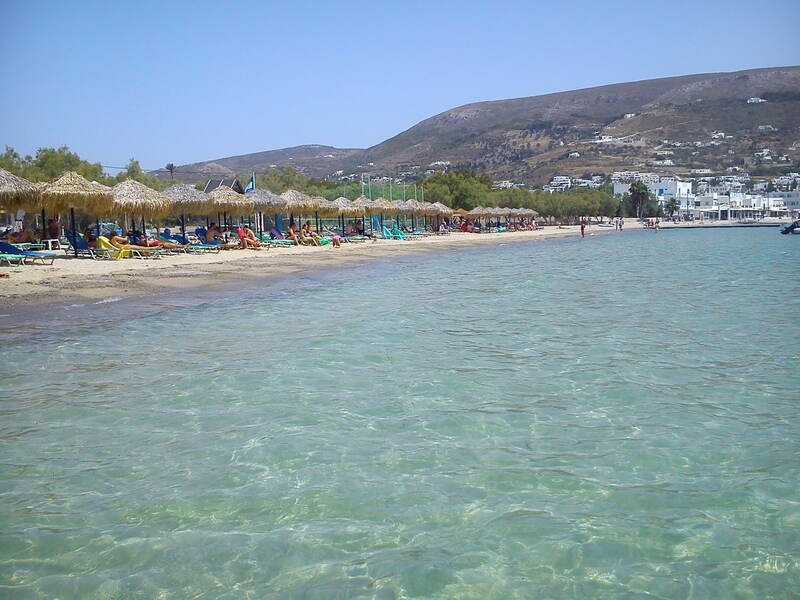 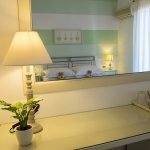 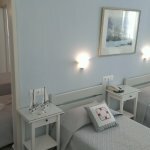 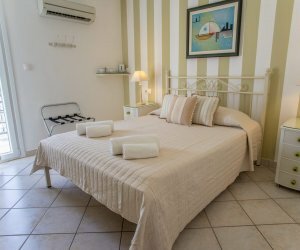 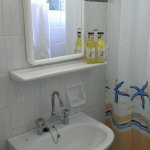 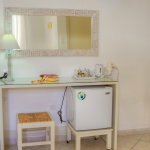 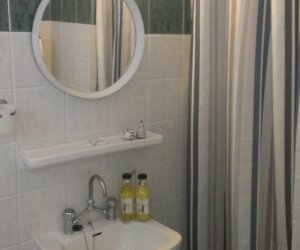 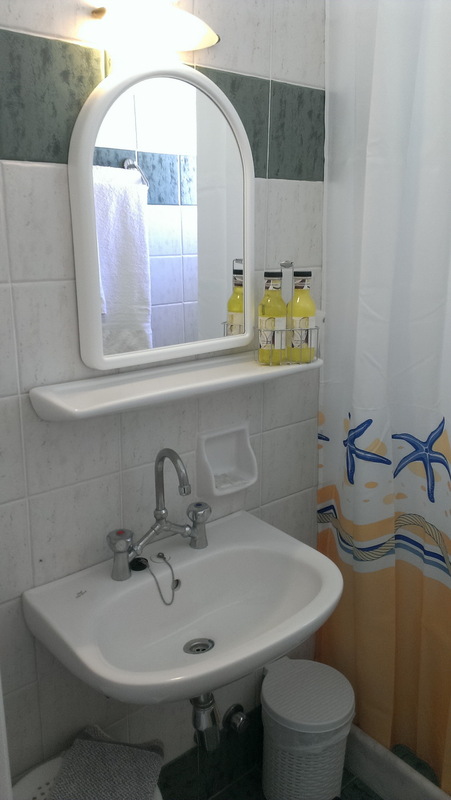 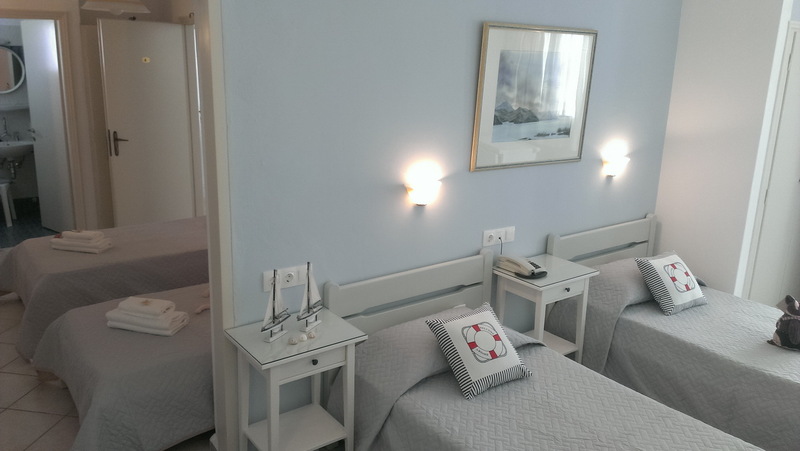 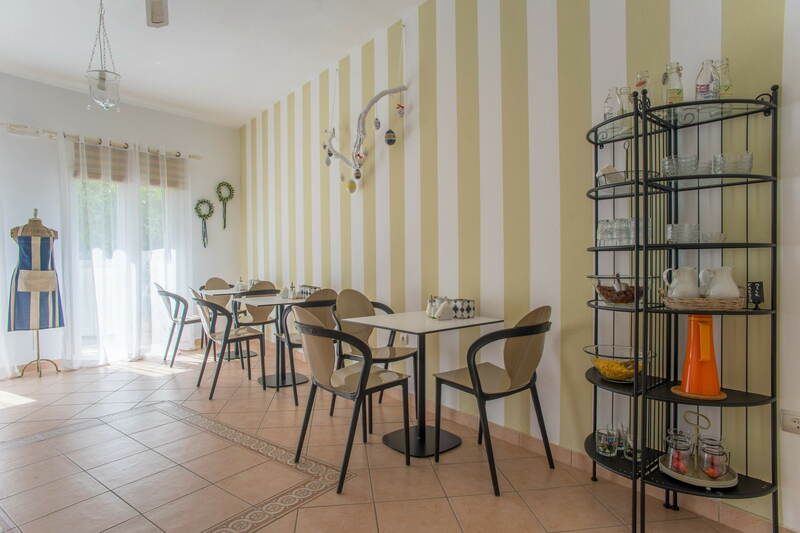 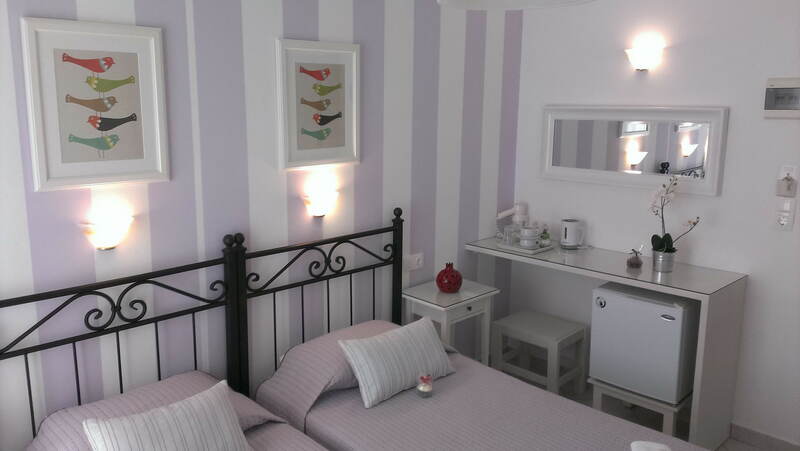 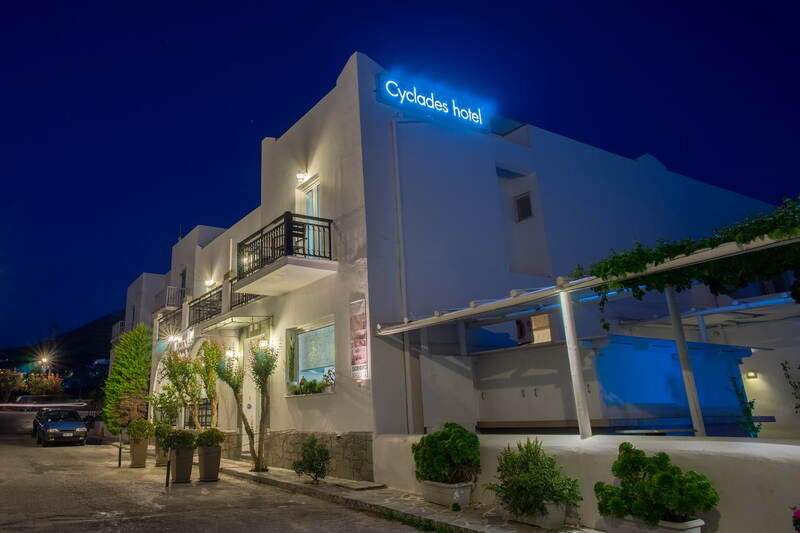 The hotel is located on a quiet street close to the safe sandy beach of Livadia and a short walk from the centre of Paroikia. 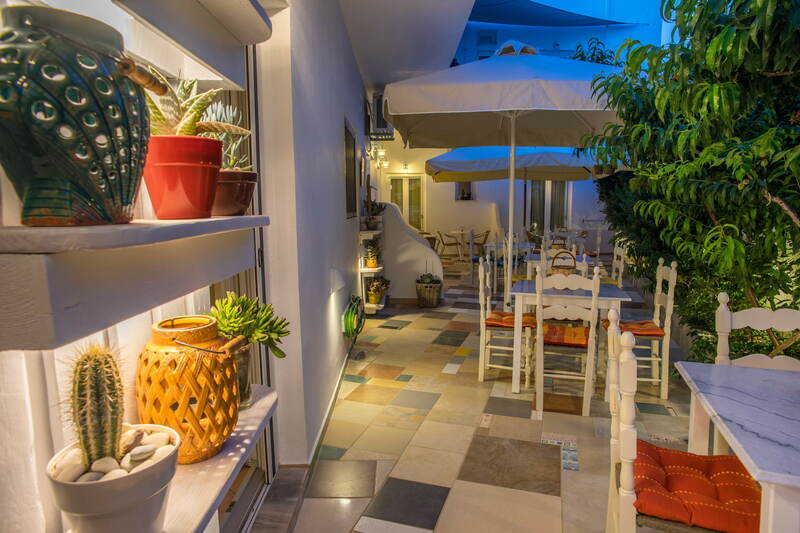 Guests can relax in the comfortable sitting area of the beautifully decorated Reception Lounge.The cool internal courtyard contains wonderful aromatic plants and an unusual tiled floor. 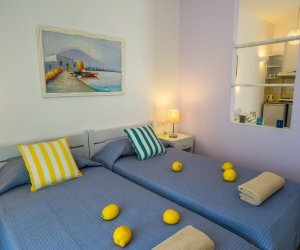 The Mavris brothers, who speak fluent English, French and Italian, are happy to provide detailed information about local attractions and cultural events. 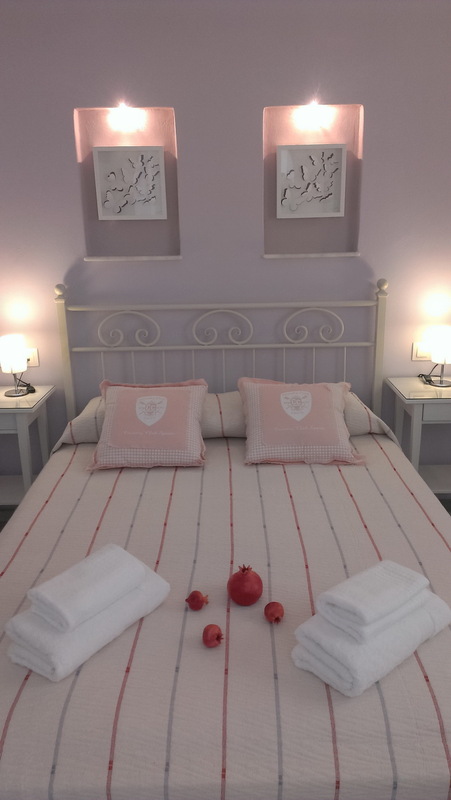 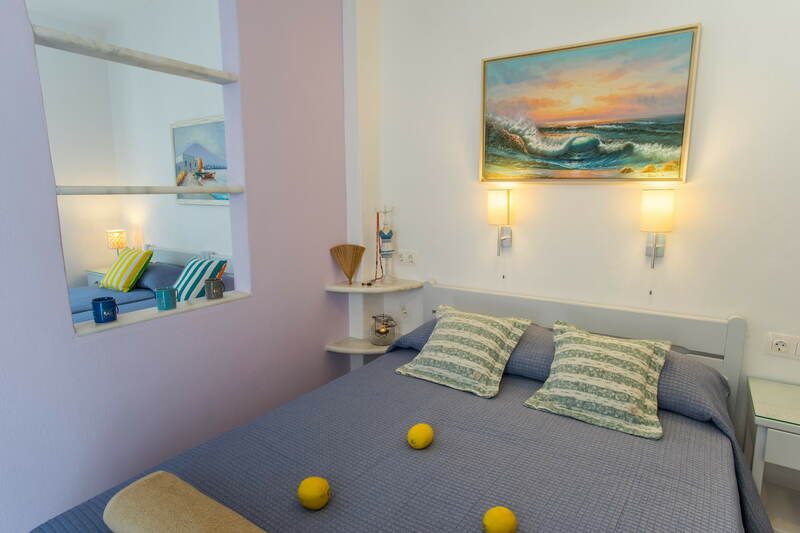 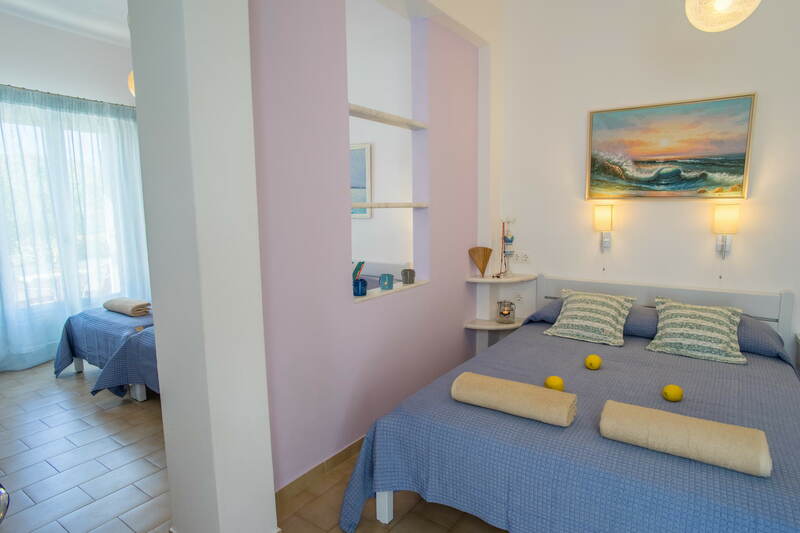 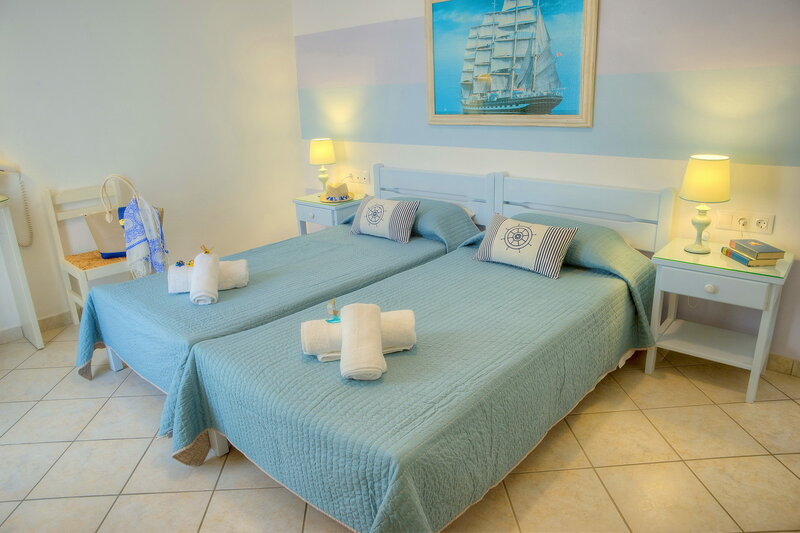 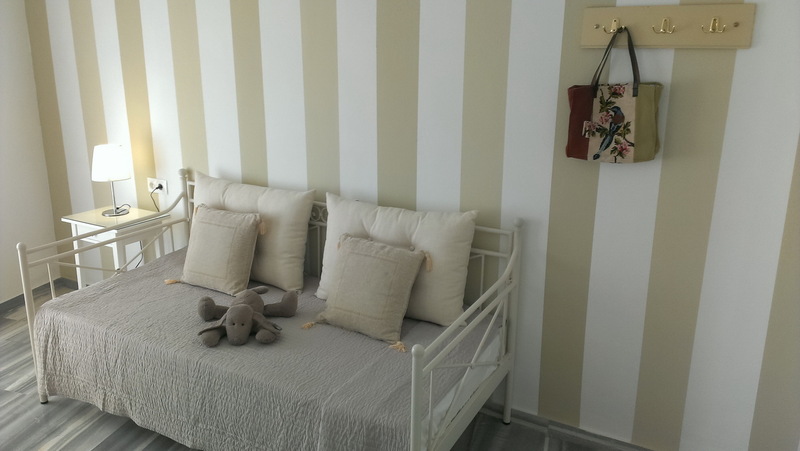 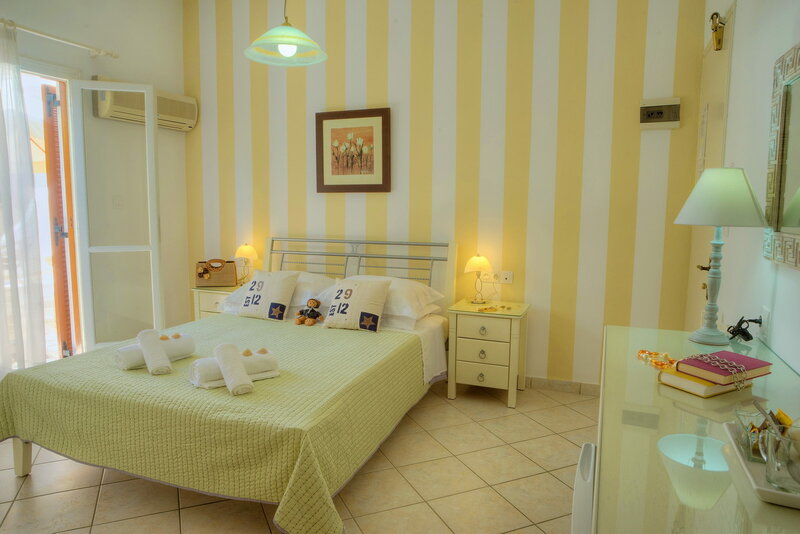 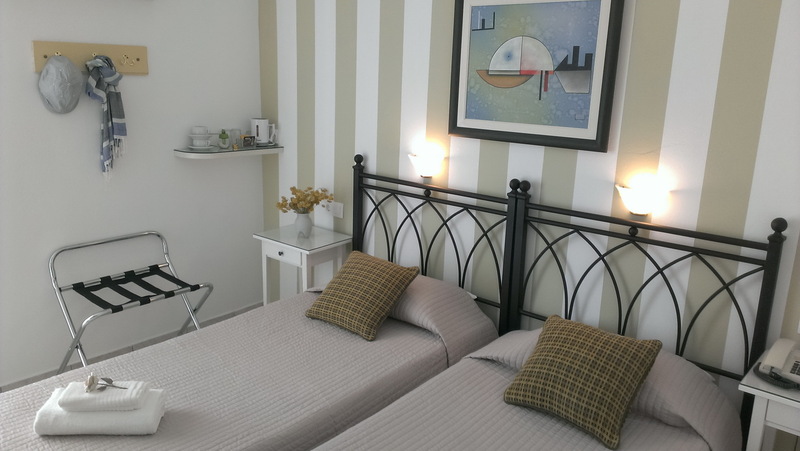 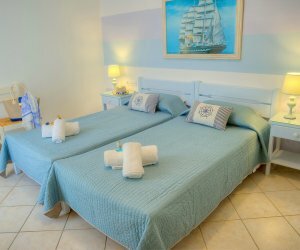 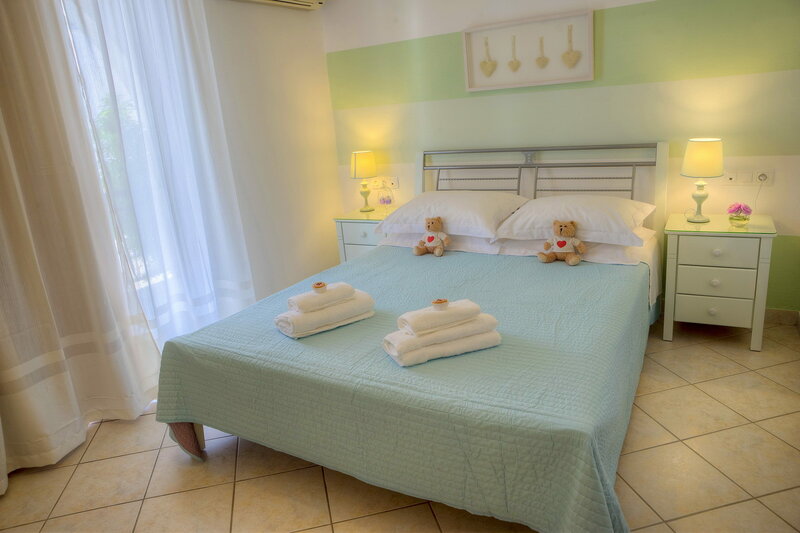 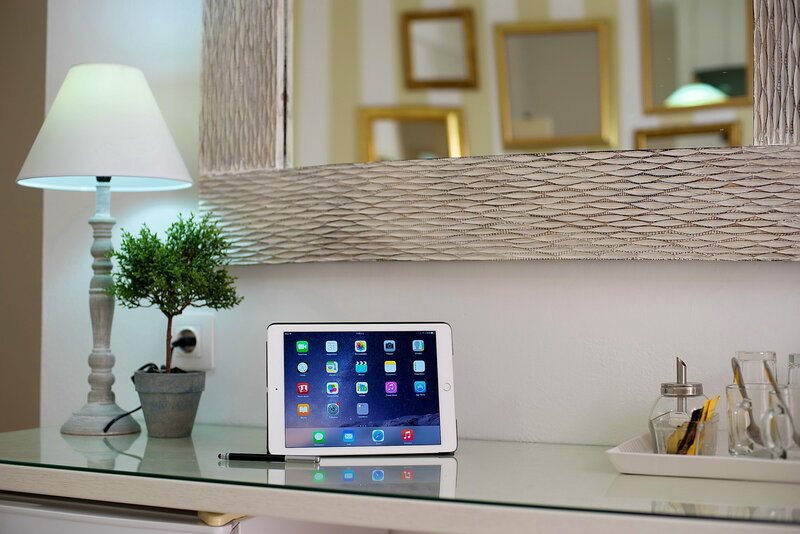 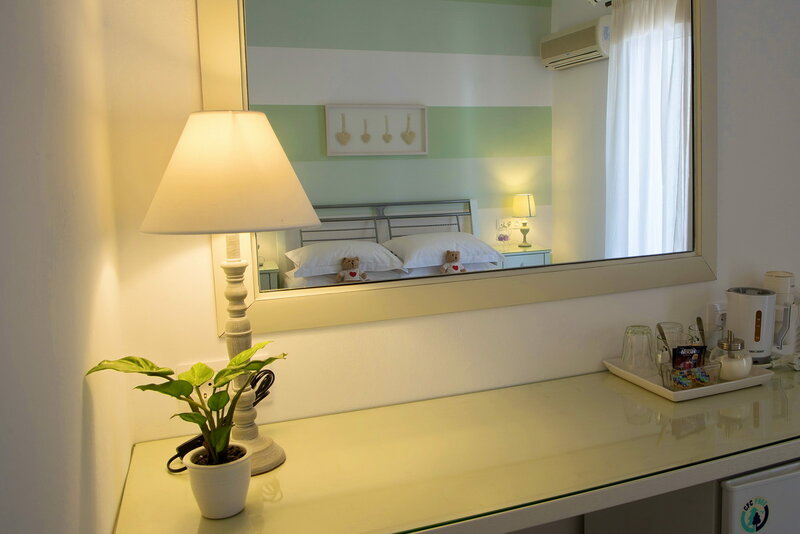 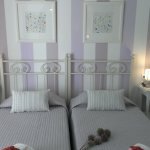 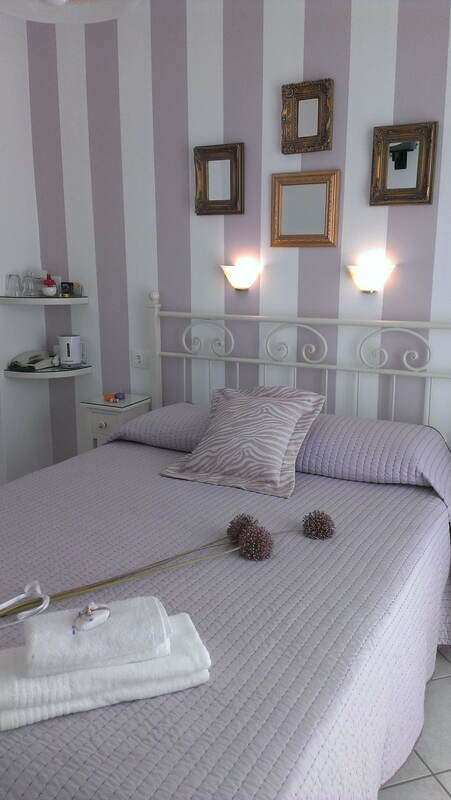 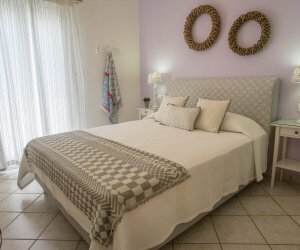 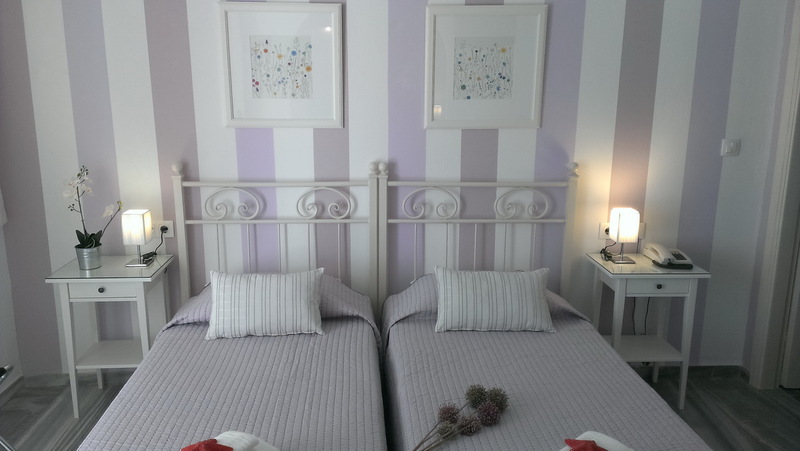 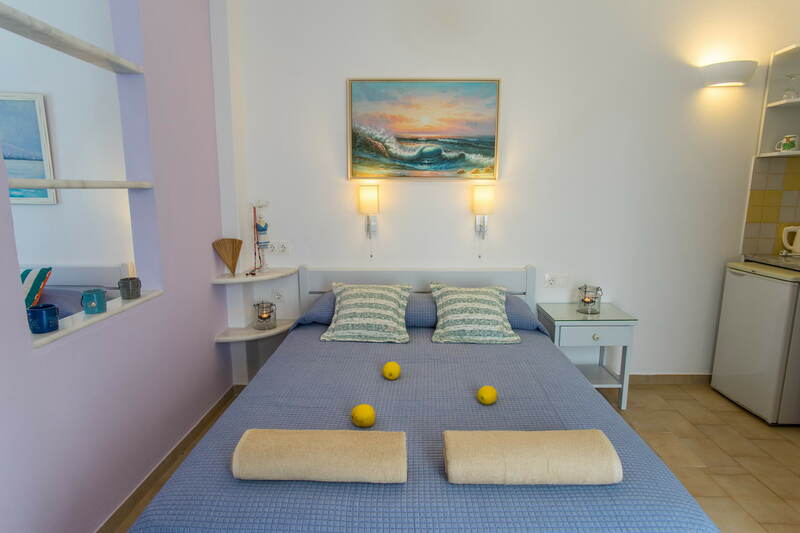 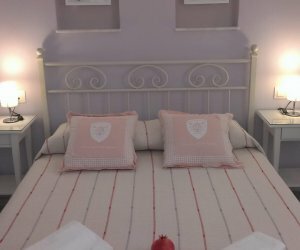 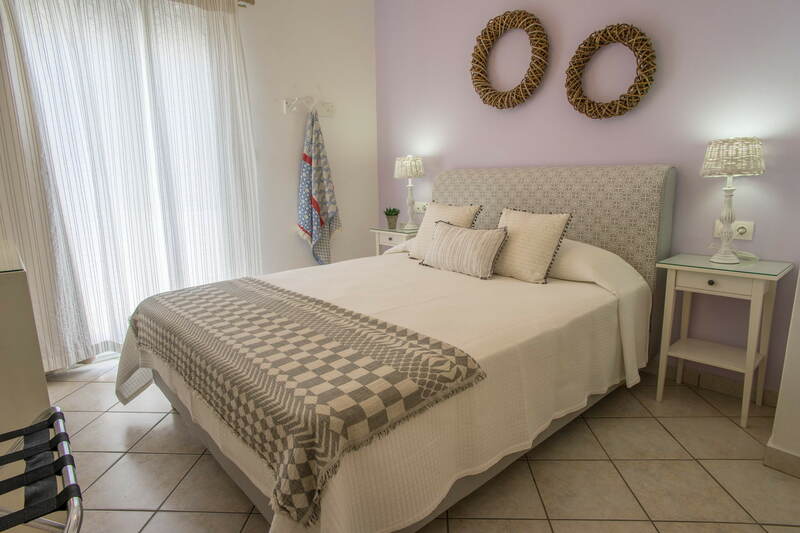 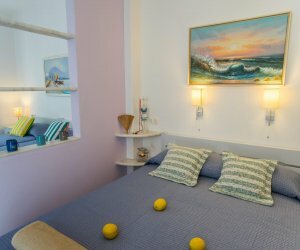 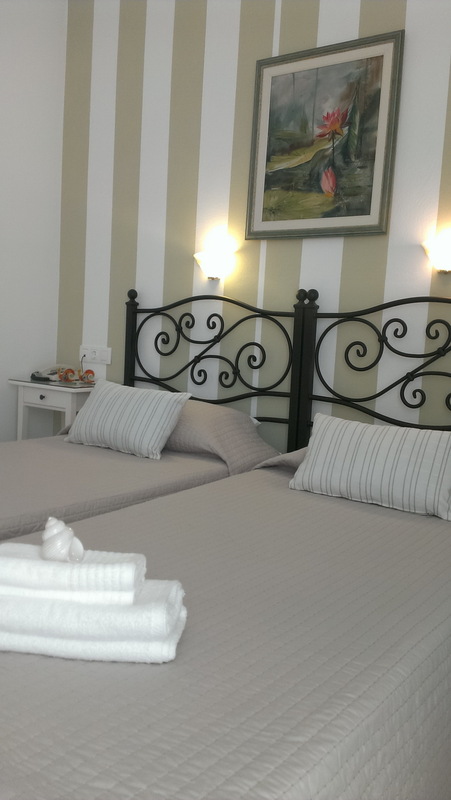 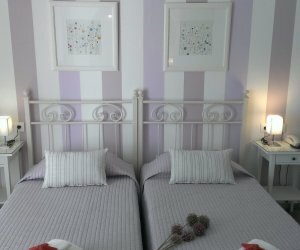 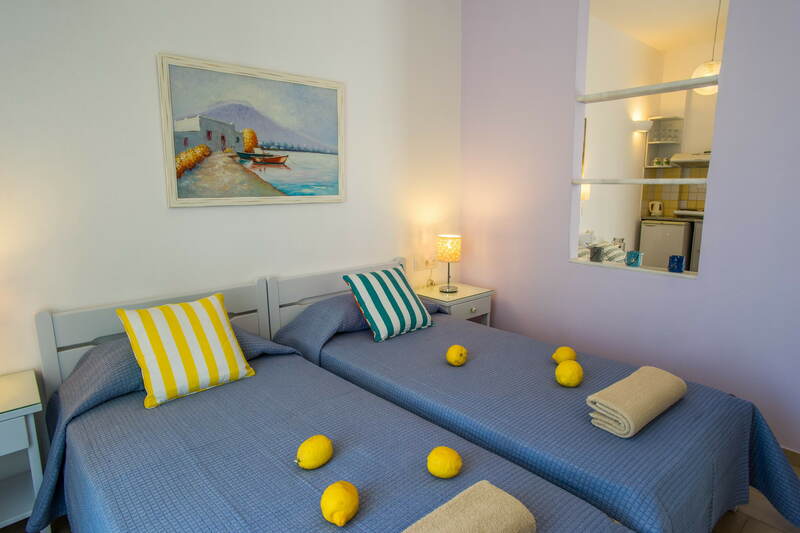 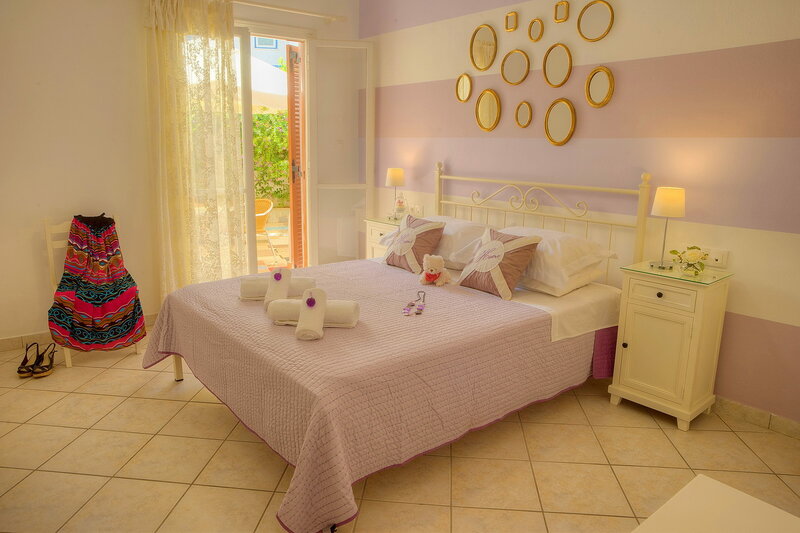 Rooms are suitable for 1-4 guests and have either double or twin beds. 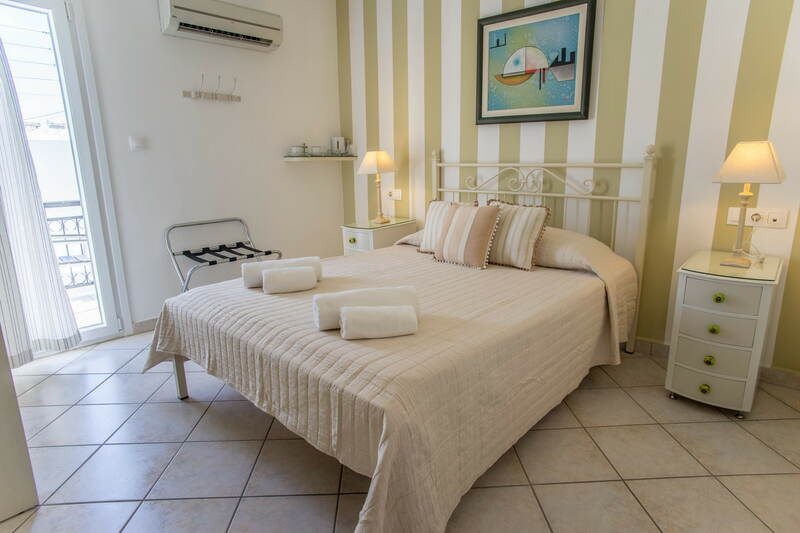 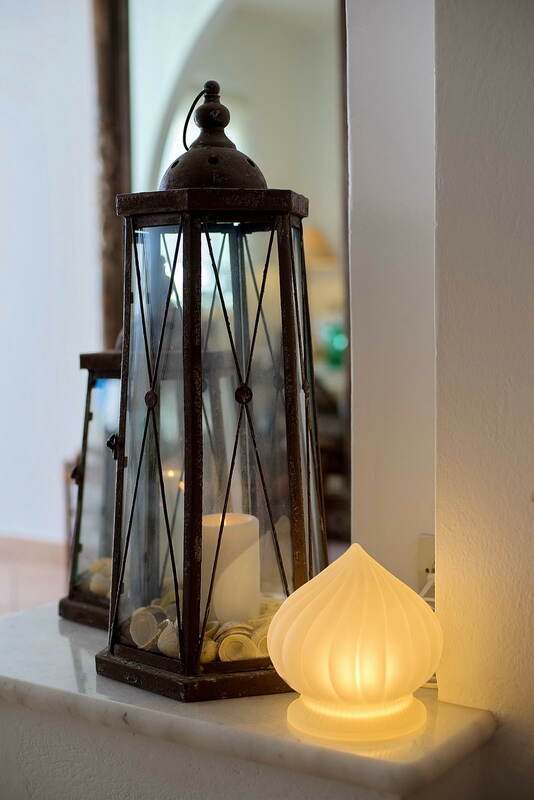 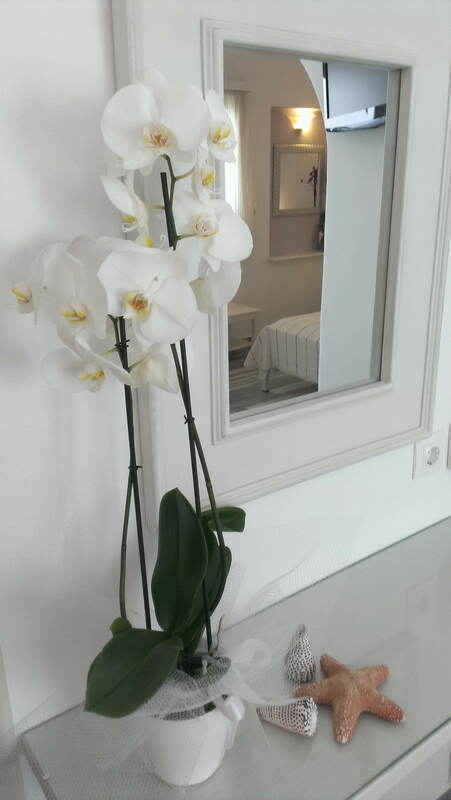 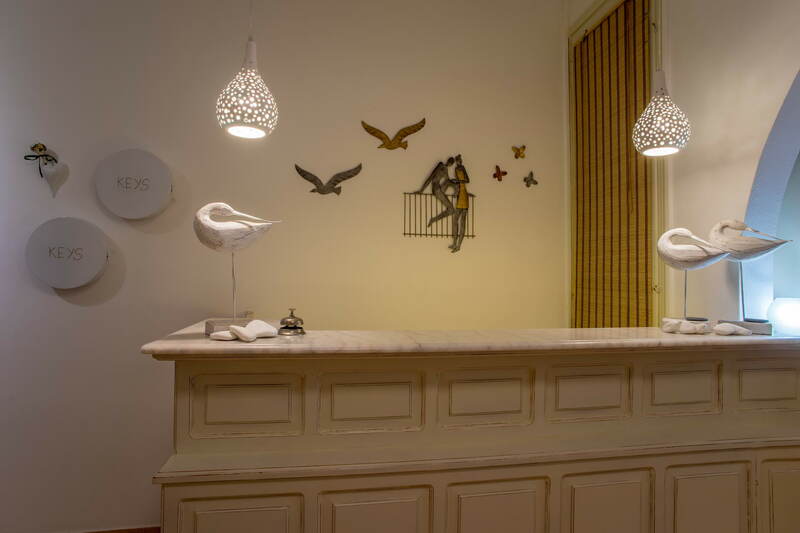 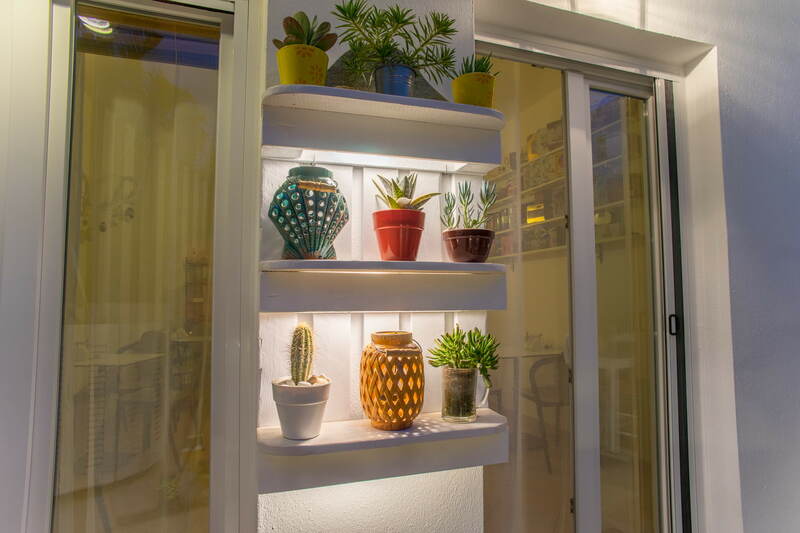 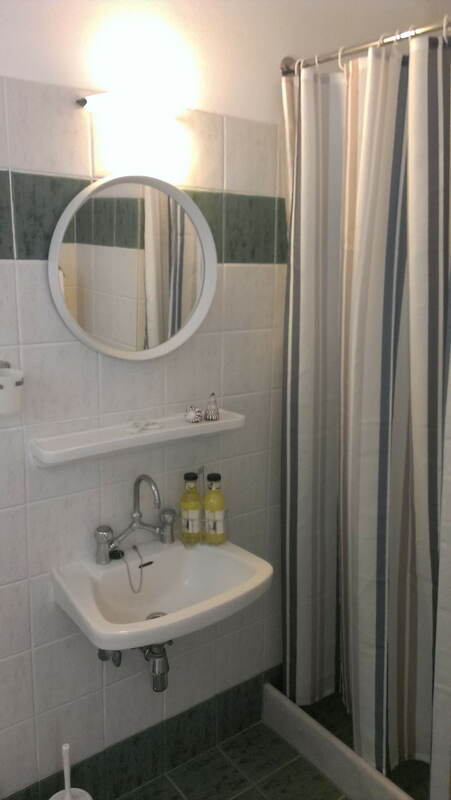 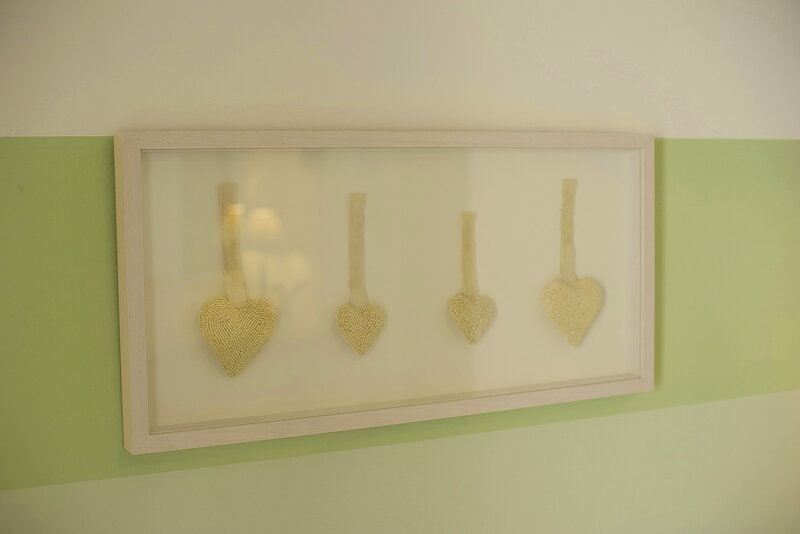 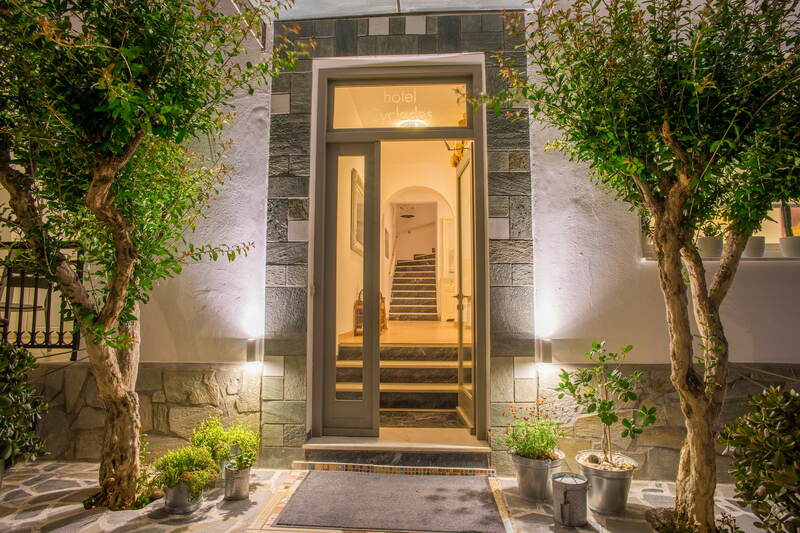 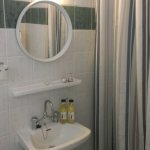 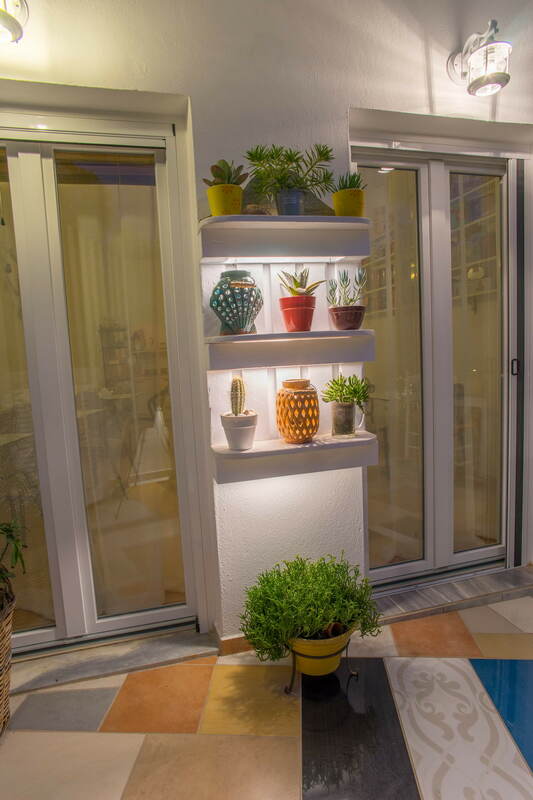 All rooms have either a balcony or terrace and private shower rooms. 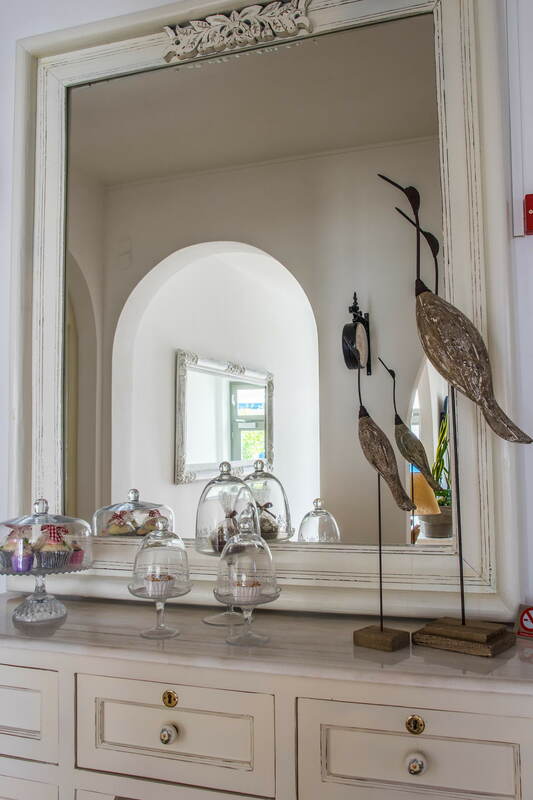 Continental breakfast (included in the room rate) is served in our Breakfast Room which opens onto the internal courtyard. 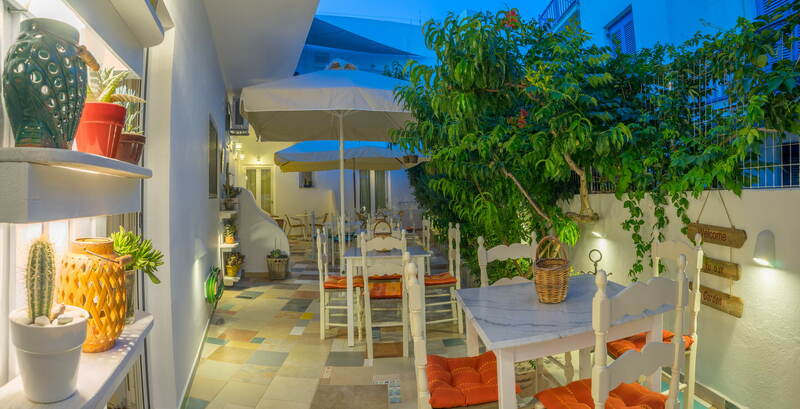 There are restaurants nearby and many more downtown. 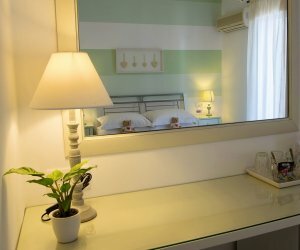 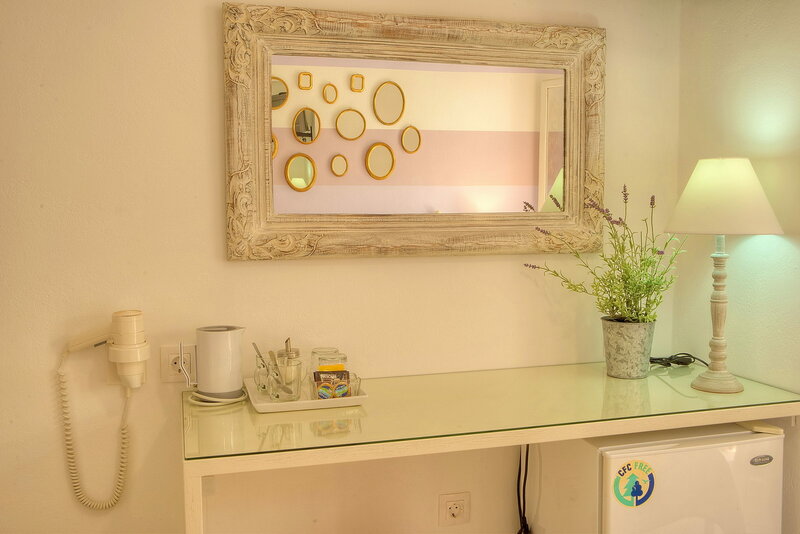 Room facilities: Balcony, View, Telephone, Flat-screen TV, Air conditioning, Fridge, Kettle ,Coffee-Tea Amenities, Desk, Hairdryer, Toilet, Shower, Toiletrys, Sound prouf windows.